Under construction. The Devonshire is the definition of LUXURY when it comes to town homes. 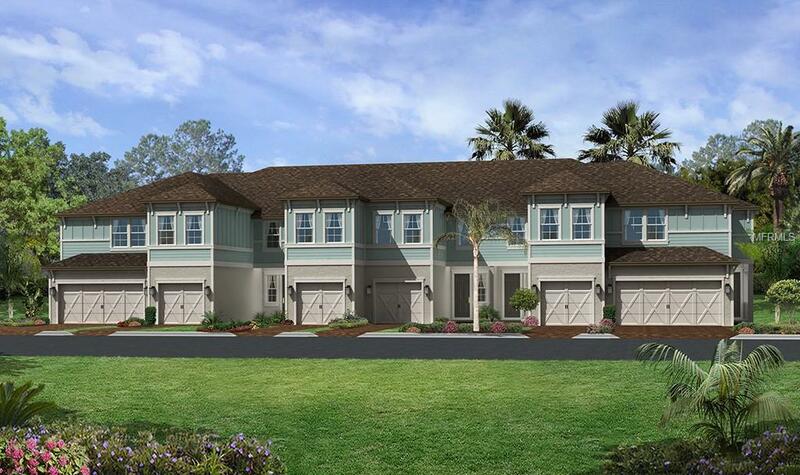 This particular town home is a WHOPPING 2,153 square feet and features a TWO CAR GARAGE! Once you make your way in the side entrance, you will find your way into the spacious foyer. Off to the right is the HUGE kitchen, featuring an ISLAND as well as plenty of counter and cabinet space. Through the kitchen on the right is the laundry room, a half bath, and the entry to the garage. Past the kitchen is the dining area to the left and the large family room on the right. There is also a lanai through the sliding glass doors off of the dining room. Located in the front right of the family room are the stairs leading upstairs. Once you walk up the stairs, you find yourself in a HUGE bonus area! To the left of the bonus area is a hall way leading to bedroom numbers 2 and 3, both featuring walk in closets. Located in-between the 2 bedrooms is a full bath. To the right of the bonus room you will find the spacious master suite. With a walk-in closet big enough for everyone's clothes, this master suite also has an elegant master bath complete with dual vanity and walk-in shower. You will not believe the amount of space in this town home until you come and see it for yourself! Call today and come take a look for yourself!